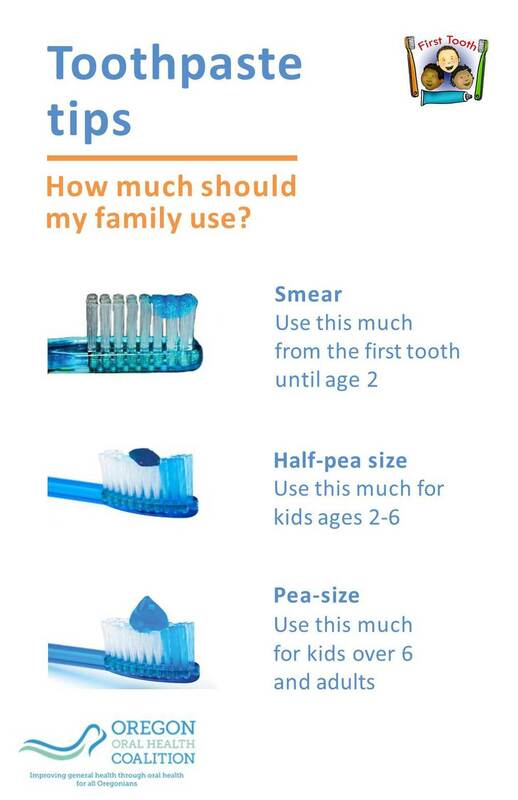 Continued support and technical assistance from OrOHC oral health educators regarding systems-based implementation, workflow, and clinical instruction is provided. To request a training, e-mail a completed Request for Training form to Caroline Freeman; for more information, Contact Us or call (971) 224-1038. Some materials are free and available for printing. Other materials must be ordered through OrOHC - please fill out the Materials Order Form and e-mail it to caroline.freeman@ocdc.net. Ordered materials require a shipping and handling cost and will be sent by USPS unless otherwise noted. 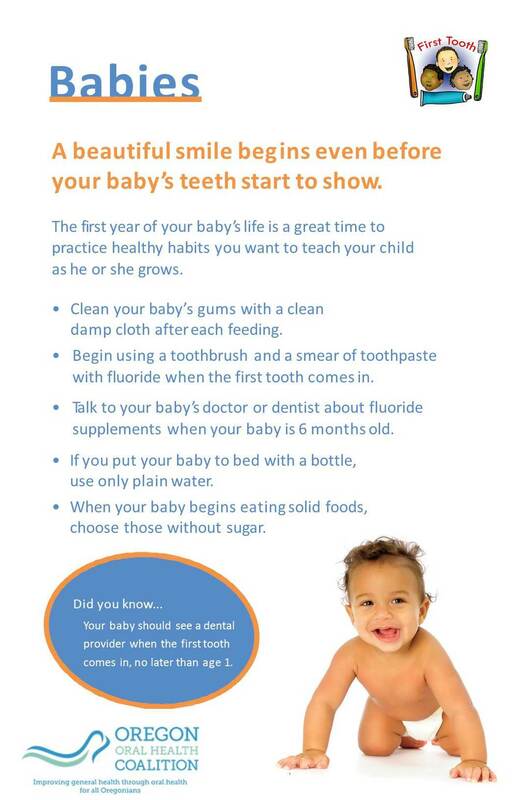 First Tooth trainers, please use the Trainer Material Order Form. 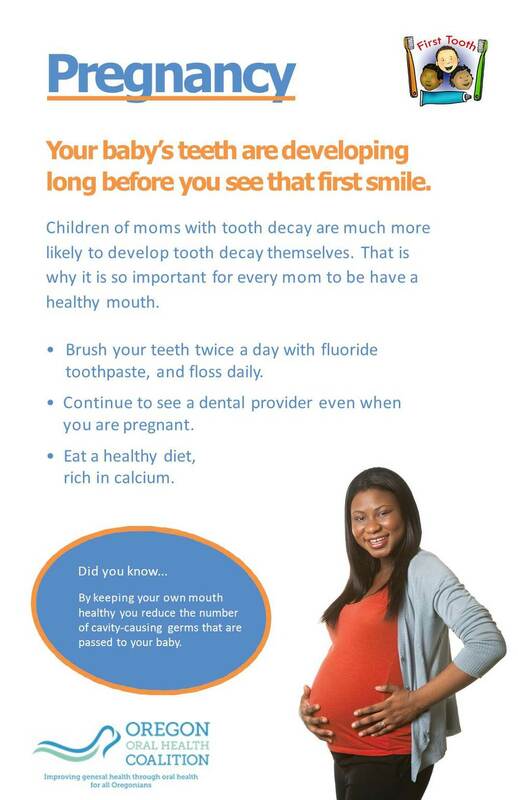 First Tooth posters are available through OrOHC for $0.59 + shipping or can be downloaded and printed. Elmo is joined by families and some of his celebrity friends including Bruno Mars, David Hyde Pierce, Nicole Kidman, Amy Ryan, Wendy Williams, Jay Sean, Naomi Watts and Liev Schreiber as he sings a song about the importance of brushing your teeth as part of Sesame Street's newest oral health initiative Healthy Teeth, Healthy Me. 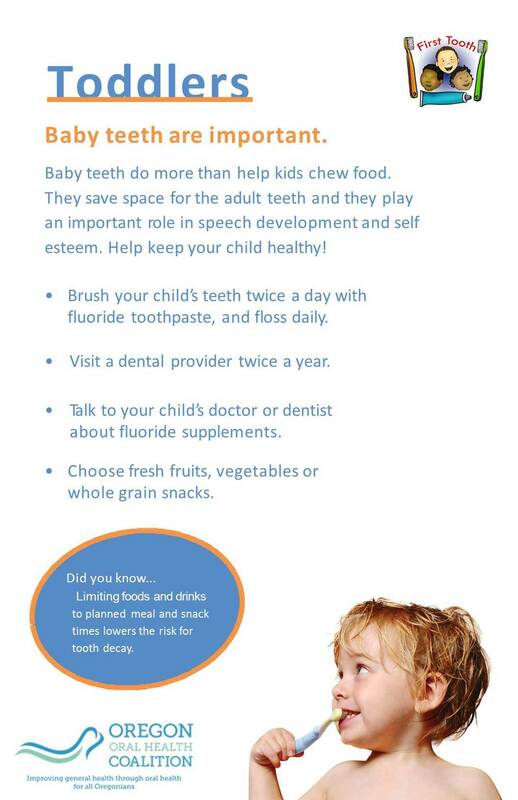 Find an entire playlist for brushing teeth with kids here.